This region is comprised of 4 major valleys: Choskhor, Tang, Ura and Chhume. Day hiking, trekking, mountain biking are popular activities in this district. Yathra or yak wool weaving is specific to the region, yak herders migrate to these valleys and similar during winter. The main town of this region Jakar is situated at 2580mts, purple flowering buckwheat crops sweep the valley floor and apple orchards cling to the sides . Small industries produce apple juice, clover and buckwheat honey, cheese and local spirits. 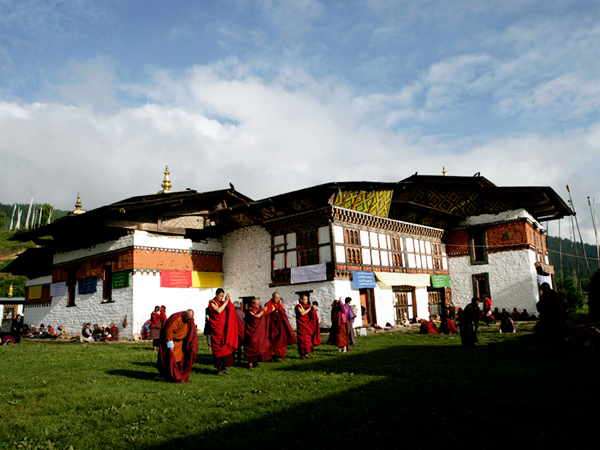 Numerous religious sites are scattered throughout and Bumthang is renowned for having the greatest number of holy sites in the Kingdom, some dating back to the 7th Century. 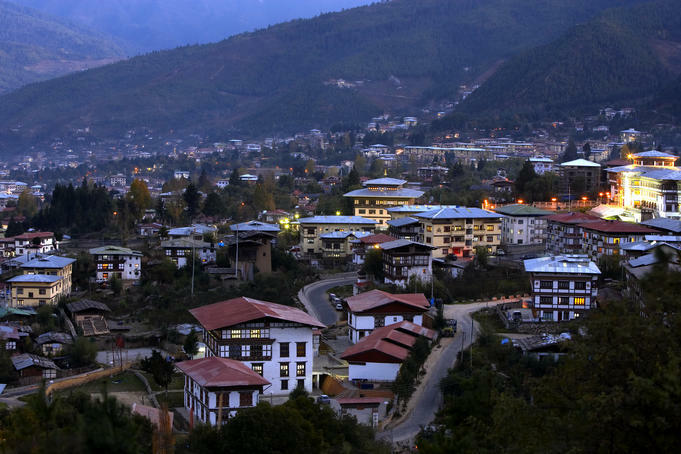 Located in the northern side of Bhutan, Beer Factory is sited amidst the beautiful fields. The brewery is not only famous for being the first and sole microbrewery but it also unique because of its owner Frits Maurer. Fritz Maurer has quite a history as being the first foreigner able to travel to Bhutan after being invited by the king. With his support of introducing brown Swiss cows in the country, Bhutanese people saw a gradual increase in the production of milk. He has the rare honor of being a Bhutanese citizen, even though he was born in Switzerland. After getting married with a local of Bumthang valley, he set up his own brewery and at the present time it is run by his son. At Bumthang Brewery only 3000 bottle of Red Panda Beer are produced per month and are recycled backed in production. The beer is brewed in the old school way in small batches, and carefully observed every step of the way during cooking, cooling, and fermentation. Each bottle is individually filled, capped, and labeled. When you visit, for only five dollars you get both the brewery tour and your own bottle. Seeing the whole process in Bumthang Brewery can be quite fascinating experience like seeing being in an episode of food factory. The brewery is really small but the visit can be worth an astounding memory to cherish life time. Remarks: Sampling of Red-Panda beer. Remarks: Open all day of week. Picture and Video is not permitted inside. 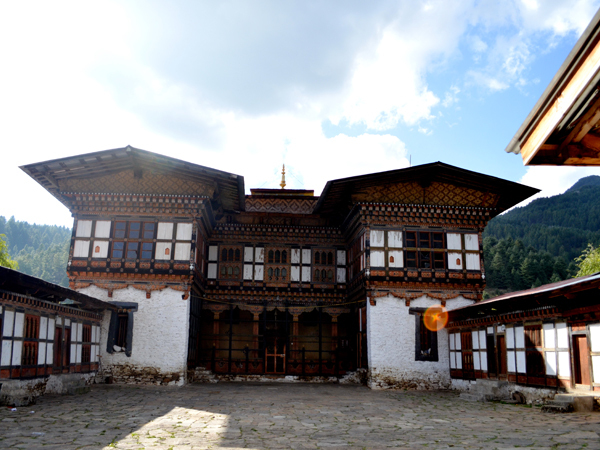 Like Kyichu Lhakhang in Paro valley, Jambey Lhakhang was also built at the same time by the Tibetan King Songtsen Gampo in the seventh century to subdue the giant demoness who was preventing the spread of Buddhism in Tibet and the Himalayan region. To overcome her, Tibetan king Songtsen Gampo decided to build 108 temples in one day which would be placed all over her body to pin the ogress to the earth forever and at the same time, to convert Tibetan people to Buddhism. 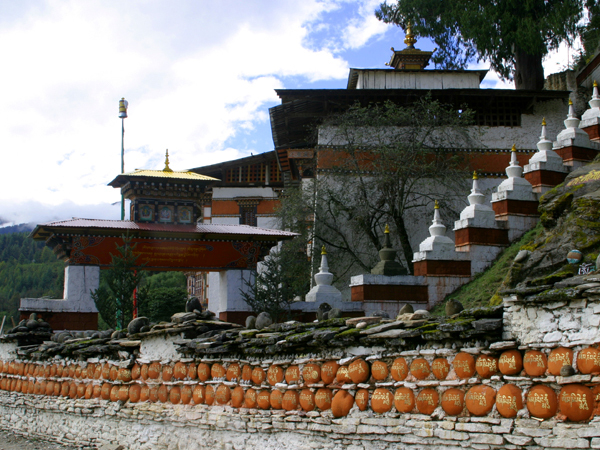 Jambay Lhakhang holds the left knee and Kyichu Lhakhang in Paro valley pins the left foot. 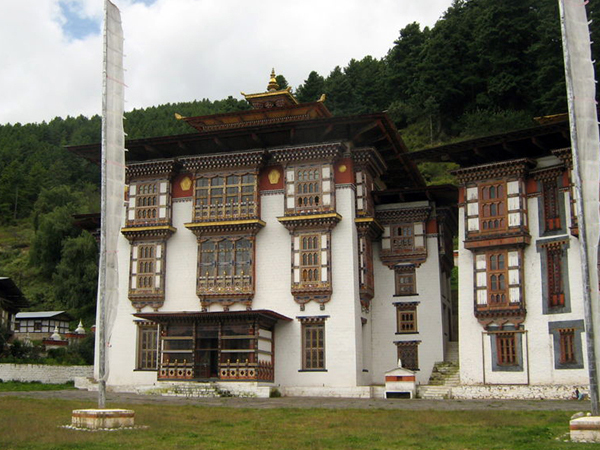 This Lhakhang is one of the most sacred Lhakhangs in Bhutan as Guru Rinpoche meditated and left the imprint of his body in a cave inside the oldest of the three temples in the eighth century. 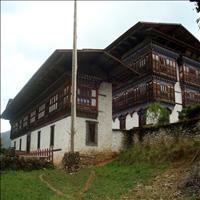 The oldest temple was built by Minjur Tempa in 1652 while he was Trongsa Penlop. 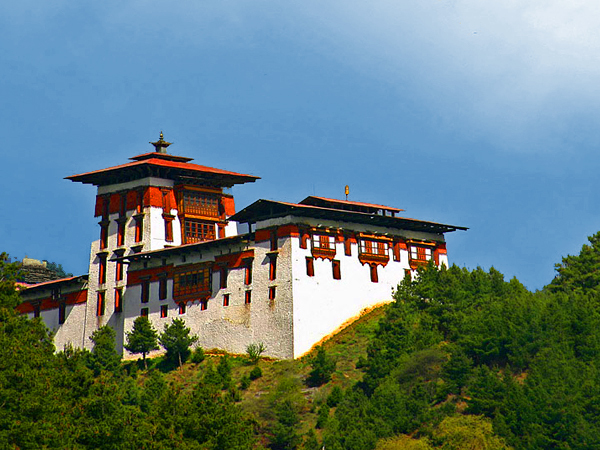 Ugyen Wangchuck, the first king of Bhutan built the second Lhakhang in 1900 while he was still the Trongsa Penlop and the third new Lhakhang was built by the present Queen Mother, Ashi Kesang Wangchuck in 1990. 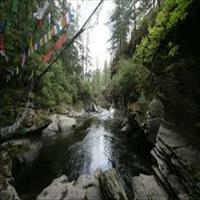 Mebartsho (burning lake) an important pilgrimage site in Bhutan, a deep gorge formed by the Tang River. It is believed that Pema Lingpa ''the great treasure finder'' retrieved many treasure hidden by Guru Rinpoche. Ogyen Choling, a small village in the upper part of the Tang Valley, set on a hill top it affords sweeping views of the valley and river below. The village houses cluster around Ogyen Choling Museum, a private museum, within the settings of a palace/manor. After crossing the suspension bridge, we begin our 45 minute walk through Kyizum village and upwards through terraced farmland, past a water prayer wheel and up to Ogyen Choling Museum. Located in the central tower of the palace (utse) this Lords mansion has been preserved and offers a rare glimpse into the lifestyle of religious nobility. Thoughtfully preserved this exhibition of a noble household in 19th & 20th century is a fascinating insight into privileged life. This estate is not only a museum but a religious and cultural centre, set up to maintain the on-going research and studies. 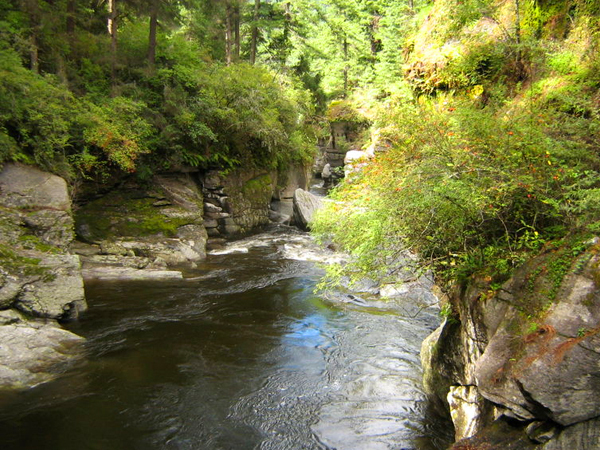 It is a short walk from the end of the road through the forest to the wide fertile plateau overlooking the river. 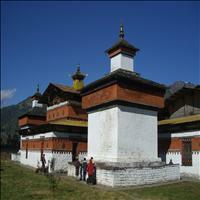 The Thangbi Lhakhang is located in the middle of the valley. 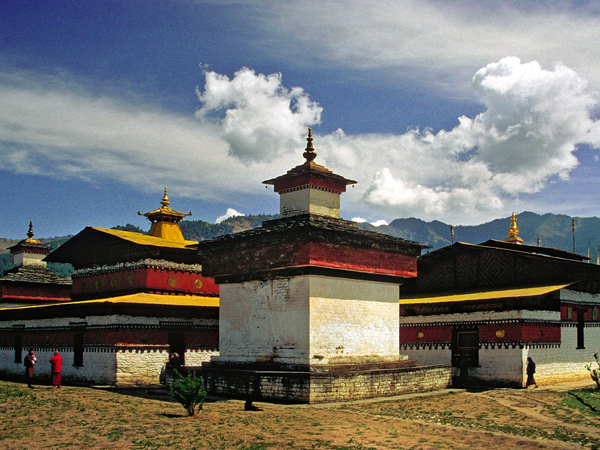 It was built by the fourth Shamar Rinpoche of the Karmapa religious school in 1470. The temple houses the terrifying deities, old clay statues which date from 15th century and the remarkable paintings of Guru Rinpoche''s abode.